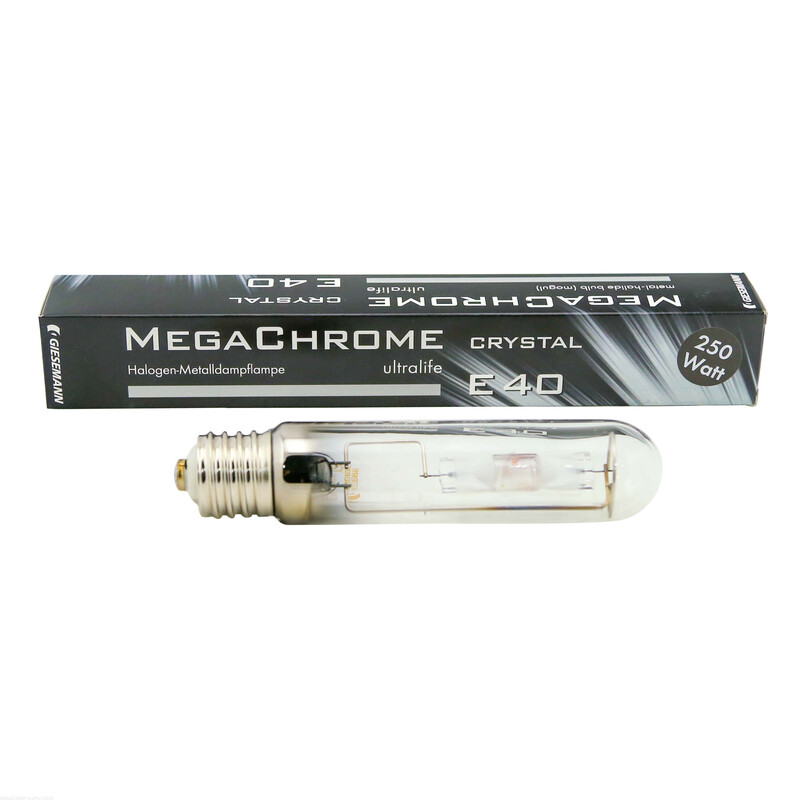 The MegaChrome Crystal bulb is quickly becoming the most popular and successful bulb for metal halide fixtures. 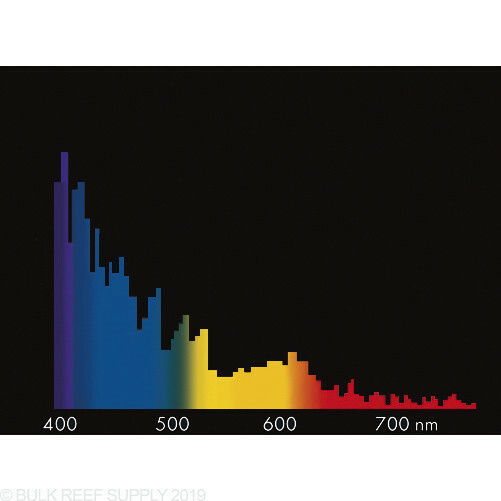 Balancing on super bright white light and providing a deep blue coloration that helps the corals fluoresce, giving your corals the best look they can. 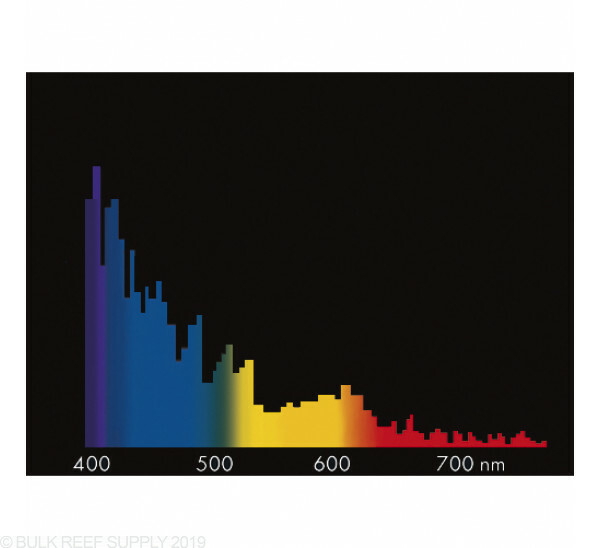 With a full spectrum, the Crystal bulb is optically white while having a majority of its spectrum in the blue and violet range. Ordered 3 of these in February of this year. Here it is November of this year and one of the bulbs has burned out. I have run many MH bulbs over the years, both SE and DE. I have always found that the K rating to be interesting. I've seen bulbs that were lower K and blue, higher K and whiter. 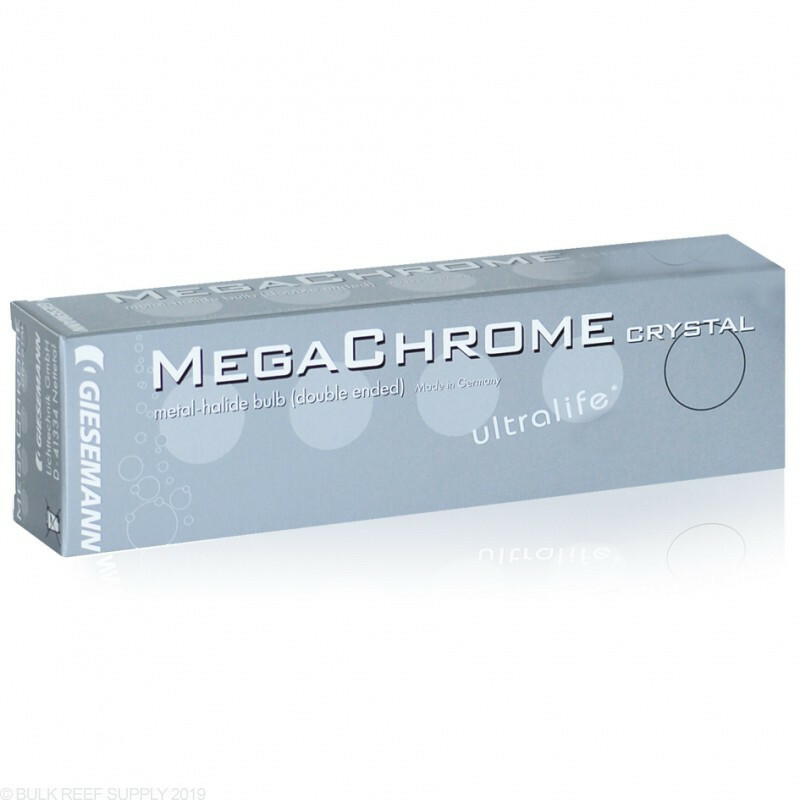 Given that the Megachrome 17.5 is white, not bluish like a Radium (which I also like very much). I have contacted CoralVue to make sure what setting to run these bulbs (250 SE) and I was told to run it on the 250HQI setting on my luxcore. Still burning in, but it is a great looking bulb. Well, I am never going back to radiums. I nominate this the bulb of the year for my set up! Not only does my purple tang look purple now but my corals (sps) have better color and show excellent signs of growth. The one thing I can't get over is my PFO 400watt HQI ballast is producing nearly no heat while the radium produced excessive amounts of heat. I am also growing more coralline algae then I ever before. In fact I was producing very minimal amounts. I have also notice my bad algae problems reducing. Like I said, I don't think I can ever go back. This light is the only thing I have on during the day, but I do a dusk and dawn with Royal Blue and Violet LEDs. Love the look! I only do this for 1.5 hour before and after. Seems perfect. OK first off, I have a PFO HQI ballast at 400 watts. No supplement light...only dusk and dawn. I took a chance on all those who said this bulb was yellow were wrong because I figured they had the wrong ballast for this light. Please people this is an HQI bulb and needs a HQI ballast. I have only had this bulb on for a couple hours and the color is so amazingly crisp white that I can see why they named it Crystal, because that is what you think of your water. There isn't anything close to a yellow hue to this light. The blues, greens, and yellows and purples and etc are so vivid and easy on the eyes and truly a joy to look at. No Supplementing lighting used or will use!!!!!!!!!!!! My ceiling no longer looks blue like with the Radium, its now white with a slight blue tint as described. 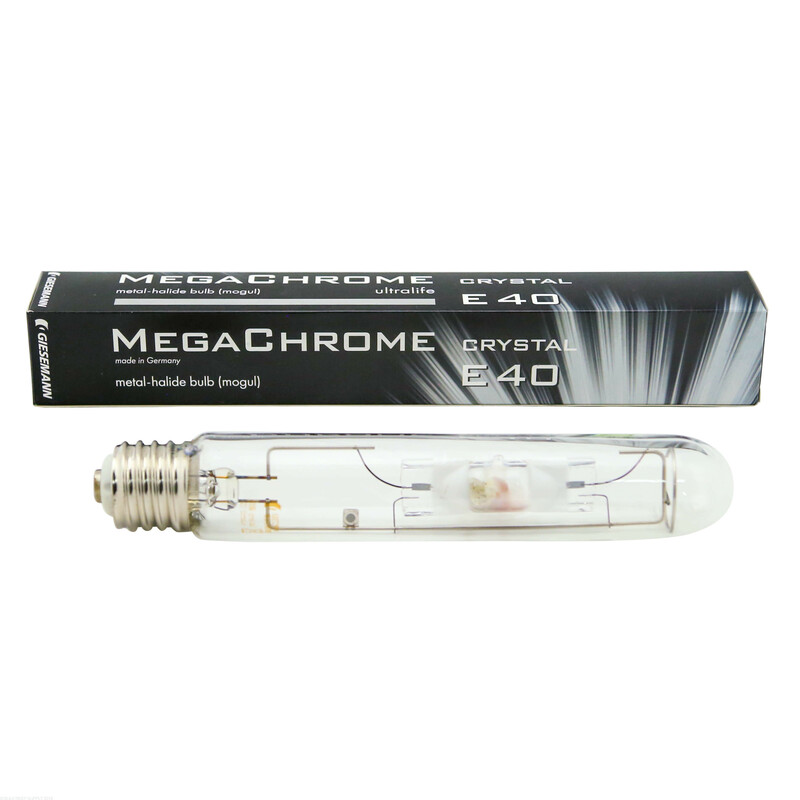 This bulb is said to last twice that of a Radium and therefore is much cheaper in the long run. 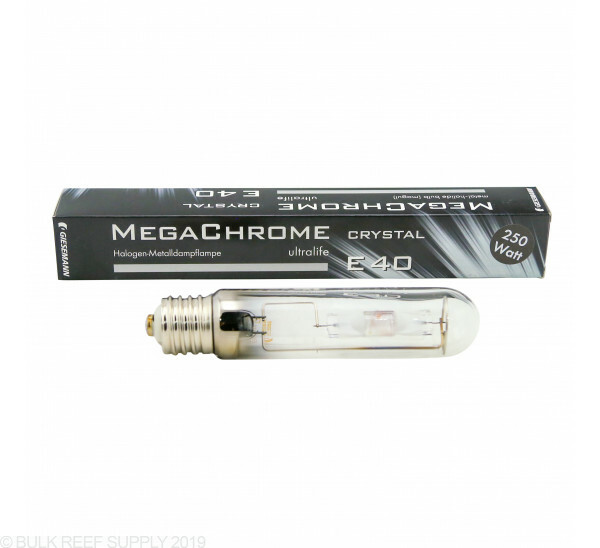 BRS should be making this their MH bulb of choice.......I would only ask BRS to please list the ballast specs so people do not choose this one and end up with a yellow hue like some have claimed. That is so far from the truth. If this grows my corals well, I can tell you there is not a chance I will ever go back to the Radium. The PAR rating is said to be more powerful than the Radium also, so I will be taking it slow to acclimate my corals to this light. I also thank Chad at BRS for answering all my questions on this bulb. Thank you BRS!!!! 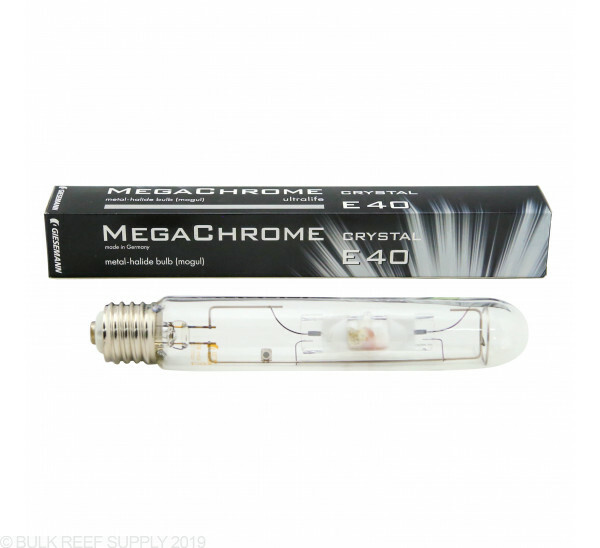 Can i use this 17500k crystal with a 400watt Lumatek Electronic ballast? Certainly will work! Feel free to let us know if you have any further questions! The Giesemann 17.5K looks like a great bulb based on the customer reviews. But the issue about the proper ballast has me concerned. I use a Lumatek adjust-a-watt ballast with settings for 250/250QHI/400/400HQI. Will this ballast run this bulb properly or will it be "yellow tinged" as some people have observed? With a Lumatek you will not experience the yellowing of the bulb. 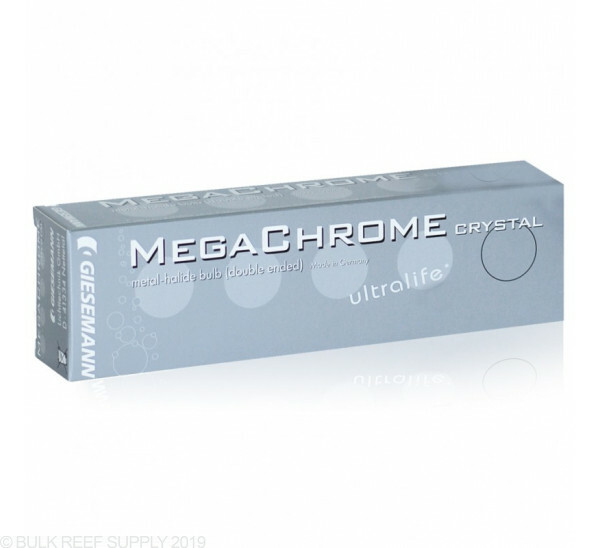 We have found these work great with lumatek and Luxcore ballasts. Feel free to let us know if you have any further questions!